A bustling market in the heart of the City and right beside Chinatown offering a variety of lunchtime take away or eat in food options that are sure to have you coming back for more. 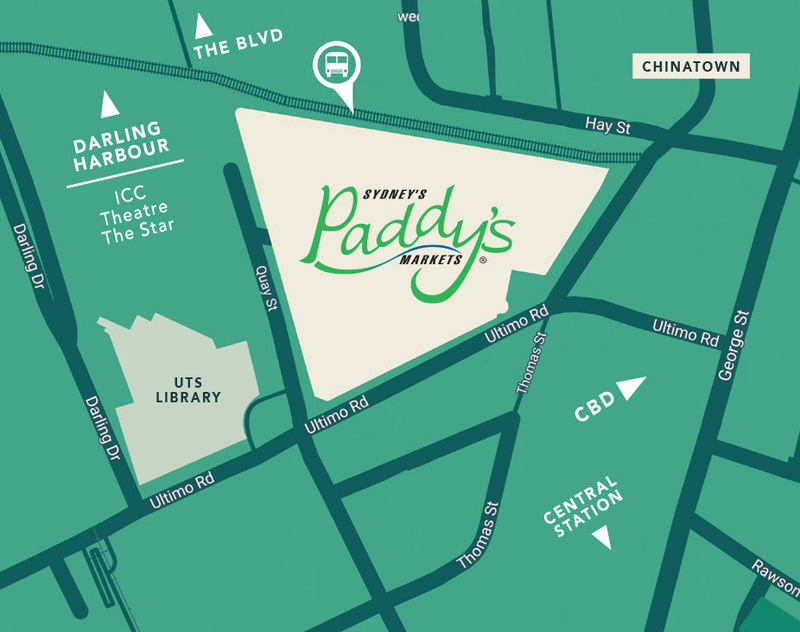 Paddy’s Haymarket is for the curious of mind and also for those who are budget conscious. It operates like a traditional market and offers imported and local women’s fashion, kids clothes, hair accessories, jewellery as well as gifts, souvenirs, gadgets, and lots more. Looking for make up and beauty products? Then put Paddy’s on your list of places to visit. For food lovers, Paddy’s Haymarket is the place to be for fresh fruit and vegetables . The markets at Haymarket has been the home for growers and producers for over a century. Come and try it for yourself! For the seafood lovers there is plenty of fresh fish, prawns and the best catch of the day. Paddy’s is a market that has something for everyone and even a library of music, art and books to enjoy. For the budget conscious, the marketplace at Paddy’s Haymarket is sure to provide plenty of bargains. Paddy’s Haymarket is a must for tourists who are looking for Australian souvenirs and cheap gifts that are fair dinkum Aussie. General Goods; Fast food, takeaway food, fresh food and vegetables, Art, books, music, candles, tools, women’s clothing, kids clothing, accessories, hair accessories, jewellery, gifts, gadgets, Homewares, toys, souvenirs.